Poppet's Window: All-you-can-eat Nepalese, if you please. All-you-can-eat Nepalese, if you please. A stone's throw away from where Chapel and High Street intersect in Prahran, you will find Gurkhas. But judging this Nepalese establishment from the garishly lit sign out the front would be a mistake. It is only upon entering that you are greeted with warm lighting, arched brick walls, polished wooden tables and seats with dated flower-print cushions. Best of all, there are also authentic floor cushions to sit on. The rustic layout is casual and cozy, which matches the traditional and warming fare on offer. With several locations around Melbourne including Carlton, Brunswick, Fitzroy, Richmond and the City, there is sure to be a Nepalese offshoot in your neck of the woods. 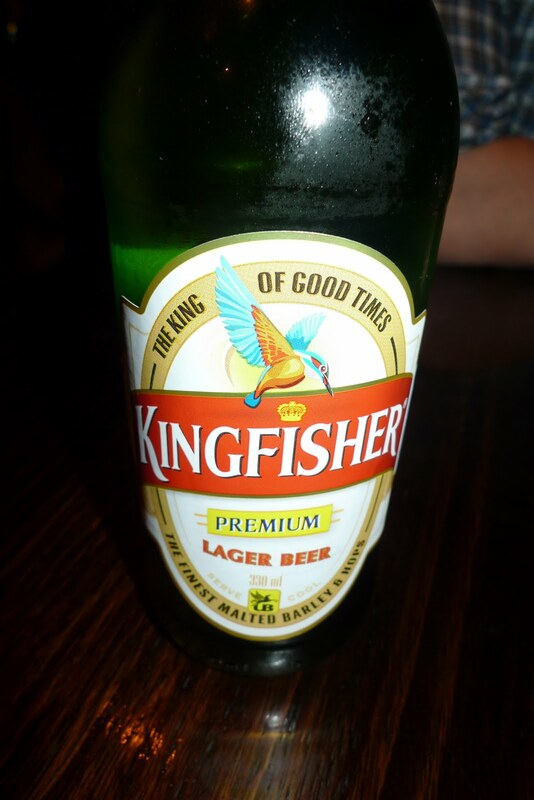 Gurkhas' food is full of flavour, including some gluten free options. It is recommended you visit on a Monday or Tuesday, when Gurkahs offers a 'sample night.' For just $20 per head, you are presented with a variety of dishes that can be replenished as often as you wish – great value for an ‘all-you-can-eat’ meal! Although many reviews suggest that the service leaves much to be desired, our experience warranted no complaints. Our waitress was wonderful, explaining in detail what each curry contained after she saw me struggling to ascertain what had been placed in front of us. The food itself came quickly and was very tasty. In fact, the portions were so generous that we were unable to take advantage of the free refills, finishing with full bellies! The first of many morsels arrived in a modest white bowl. Although not immediately appetizing, the chunky yellow mushroom and lentil soup was the perfect warmer on a winter's night. The next plate was more exciting and boasted an array of starters for us to sample, accompanied by lemon wedges and garden greens. The 'momo' meat dumplings were the favourite, bamboo-steamed and stuffed with lamb meat and fragrant ginger, and served with a hint of sesame and tomato chutney. They were incredibly ‘more-ish’, but we had to save room for the rest! There were also BBQ mushrooms char grilled in ginger garlic sauce, 'singada' curry puffs drizzled with a sweet plum sauce and stained burnt orange from the tamarind, as well as homemade vegetarian spring rolls. 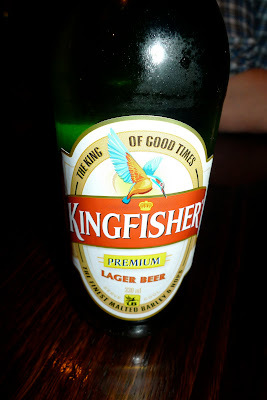 Washed down with imported Kingfisher beer, a light brew bottled in India, it was a satisfying start to our magnanimous meal. The following course consisted of seven silver bowls on two chrome trays. Each contained a different main dish. The standout was the tender fish curry, lighter than the tasty goat curry, which arrived simmering in a heavy tomato base. The third bowl on this particular tray contained a creamy pea and lentil dhal that was perfect in consistency and lovely mopped up with the jasmine rice. All of the saporous sauces were well balanced with just the right amount of spice. After ordering another beer, we started on the second tray of silver bowls. The sautéed butternut pumpkin curry or 'pharsi ko' is a must-try, especially for vegetarians. Smooth in texture and naturally sweet, the hints of garlic and were delicious. The other vegetarian option was the BBQ Tofu, served with crunchy Asian greens and an aromatic curry sauce. After these dishes our palates were cleansed by the chicken charako salad, a cooler dish with a fresh cabbage base and a tangy oriental dressing. Just as we were readying ourselves to leave, dessert arrived. It was a simple, creamy rice pudding known as 'khir.' With undertones of coconut and a juicy crown of sweet cake, we managed to squeeze it in! While Gurkahs may not rank alongside the trendy new eateries opening on an almost daily basis around town, it is not hard to see why this establishment has remained a Melbourne stalwart for more than 16 years. The only complaint would be the appalling choice of music: who knew the Nepalese were so fond of the Pussycat Dolls and Ricki Lee? Music taste aside, Gurkahs undeniably provides value for money and is a top cheap eat, especially if you are a local. Take advantage of the BYO (wine only) and bring your favourite bottle on a Monday or Tuesday night to accompany the sample menu. For the full experience, make sure you sit on the colourful floor cushions, and while you're at it, maybe bring along a CD of traditional Nepalese tunes and leave it on the table at the end of the meal. Maybe they will get the hint.